It was lovely to see the children so eager and happy to be back at school on Monday. KS1 began the week with a whole school assembly launch of our new topic Curious Cities. This inspired the children when they were back in class, to ask some big questions about their local environment. Children from Year 1 and Year 2 have all taken a walk around school and their local area to identify environmental issues close to where they live. How much food is wasted at lunchtime? Where does it go? How much litter is dropped on the pavement and thrown into bushes? Where does the rubbish go? How much electricity is wasted in school? How is electricity made? The chilhdren have asked endless questions and next week will begin the task of finding out the answers. Year 1 have also been having fun playing team building games this week. They were set the challenge of building the tallest tower possible from the materials they were given. The tallest was a staggering 60cm tall! 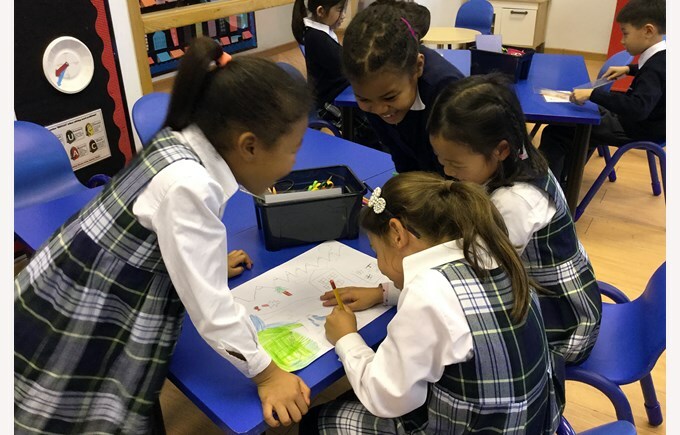 Children in Year 2 have particularly enjoyed playing collaboration games as well this week. They have worked in small groups, pairs and as a whole class to solve problems and complete tasks and have learnt some important skills along the way. They will be using these skills to work together with their group next week to research and present information about the environmental issue they have chosen. What an amazing first week back to school. I am excited to continue our project next week and I know the students are too.